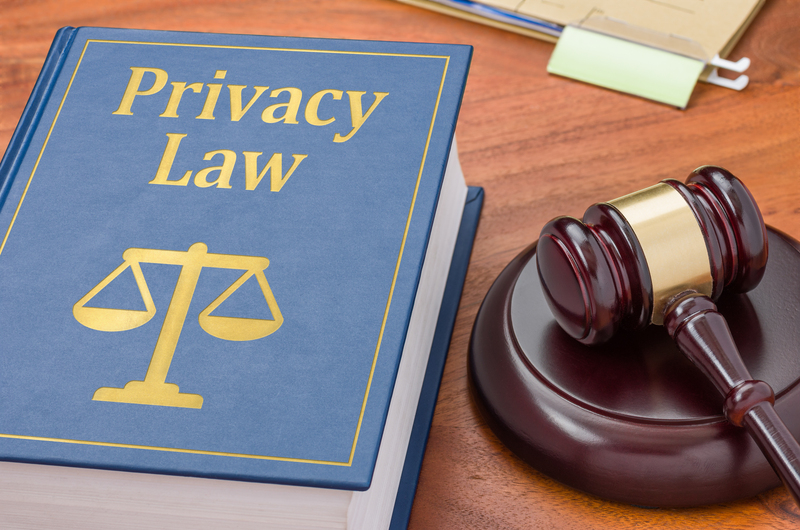 In July, the Wisconsin Supreme Court approved three new laws that will better protect your privacy during your family court legal proceeding. First, section 801.19 of the Wisconsin Statutes, will specifically protect the following numbers that are commonly found in your court records: social security numbers, employer and tax identification numbers, financial account numbers (i.e. : credit cards and bank accounts), driver licenses, and passport numbers. These numbers are often required for financial disclosure purposes, but this law will help protect the parties’ information by requiring these numbers to be redacted, and allowing this protected information to only be seen by the parties, their counsel, and the judge. This is especially relevant as the courts are moving toward electronic filing of case documents, and case records may be more readily available through online access. Second, section 801.20 of the Wisconsin Statutes will require the parties to identify certain case types and documents as confidential at the time they are filed. All placement proceedings will be automatically identified as confidential. Plus, documents such as family financial disclosure statements and confidential petition addendum forms will also be automatically identified as confidential. Finally, section 801.21 of the Wisconsin Statutes, provides parties with a procedure for motions to seal. This will allow parties to identify specific information, not already specified in section 801.20 of the Wisconsin Statutes, and move the court to seal or redact it based upon already existing authority to restrict public access. There are approved forms that may be used to protect the privacy of your information in court documents, and are available at https://www.wicourts.gov/forms1/circuit/index.htm. However, there may also be local forms and procedures necessary to better ensure that your information is protected. If you are unsure as to how to best protect your privacy during your family court case, call us at (414) 258-1644 to schedule a free initial consultation to discuss your case. Are Divorce Records Public in Wisconsin? Is a divorce part of the public record in Wisconsin? Should it be? After all, are your family issues really anyone else’s business? I ran across an interesting article from a few years ago written by a California divorce attorney lamenting the fact that divorce records are public and found that I agreed with most of his points. (My Divorce is None of Your Business). The premise of the article is that marriage and family are private and protected in many other areas of the law and society – so should then be divorce. In Wisconsin, the answer is yes, divorce records are public. In fact, Wisconsin is one of the few states that give full public access to all court records online, including divorce (see CCAP). The only exception is paternity or children’s court cases which are confidential. Your court file is public record with the exception of financial statements, which are sealed. All family court proceedings, again except paternity cases, are open to the public. How does this affect you? In reality, unless you have a really nosy neighbor with way too much time on their hands, people you know are not going to trek to the courthouse and peruse through your divorce file. But, CCAP does cause all types of issues for the people of Wisconsin. There has been much debate in Wisconsin about the level of access the public should have to these records. There have been complaints about discrimination from prospective employers, landlords, etc. The fact of it is, in Wisconsin, any contact you have had with the legal system is an open book for all to see. The details of your divorce judgment are not necessarily listed on CCAP. But, sometimes details peek through in the notes the clerks make in the system with regards to hearings and court findings. This is dependent on the clerk and the judge. Occasionally, the judges will seal or restrict what appears on CCAP but a party would need to petition the court for that and there would need to be a compelling reason (a public figure, safety issues, etc.). As family lawyers, one issue that we have with CCAP is that your divorce filing appears almost instantly. Therefore, if you don’t want your spouse to know you filed yet, you simply can’t file. Sometimes, there are reasons to file but to wait to serve the papers. Often when there is domestic violence, we want to initiate the divorce quickly to obtain a court date but don’t want to serve to allow our clients time to move out or put into place a safety plan. However, with the advent of CCAP, we can no longer do that. Pre-divorce planning is crucial in these situations and you should consult with your attorney regarding same. Conversely, public court records can also be extremely helpful. It is difficult now to hide bad behavior and conceal legal problems or debts. Family lawyers can better protect our clients from undisclosed issues. In virtually every case, we feel an obligation to search CCAP to discover potential issues or problems. CCAP also allows us to keep track of and monitor our cases. It is an extremely important tool and resource for those of us working in the legal system. The bottom line is that divorce can be messy and in Wisconsin, at least, it is public. Whatever your opinion might be about that, it is the reality that we must live with. To discuss your case further with an experienced divorce attorney, contact us at 414-258-1644 to schedule a free initial office consultation or visit our website for more information.